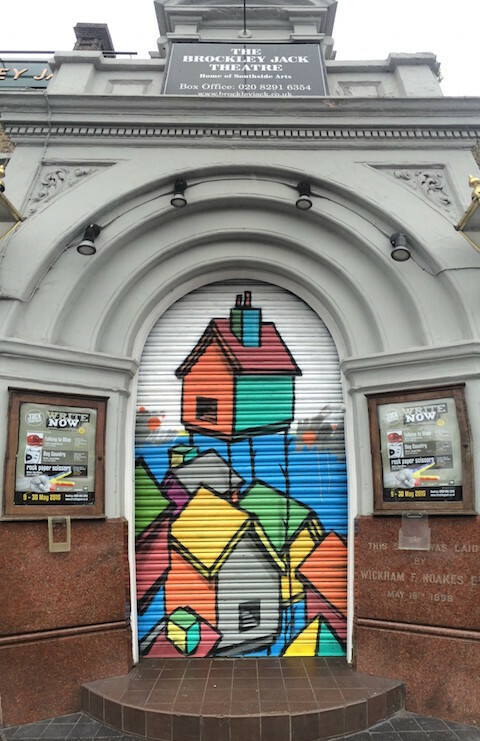 What's It Like Organising A Street Art Festival? 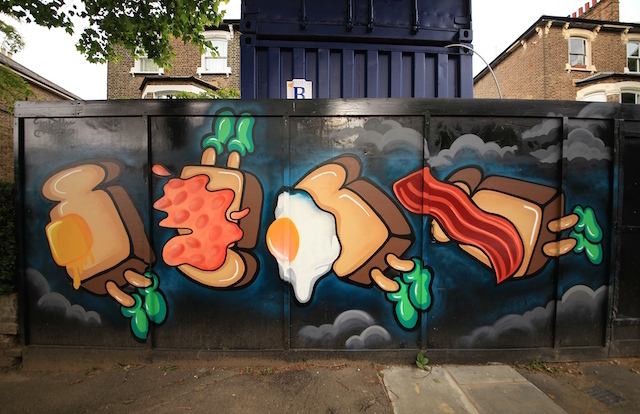 Londonist What's It Like Organising A Street Art Festival? Brockley Street Art Festival saw 20 walls in the area painted by some of the world's leading street artists, plus a packed programme of community events. But what's it like to actually organise such a festival? Here, director of the festival and Global Street Art founder, Lee Bofkin explains the ups and downs. Last year I approached Londonist with a hare-brained idea to help spread street art across different neighbourhoods in London. Instead of laughing me out of the room, they went with it and got things under way with this rather speculative article. 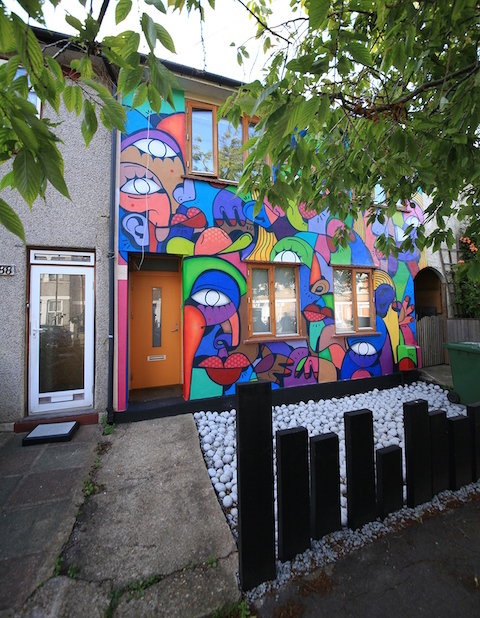 At the time I knew some friends that wanted to bring street art into their neighbourhoods so at the very least I thought one or two people would enter and we wouldn’t look altogether silly. Much to our surprise seven neighbourhoods entered, including Brockley. 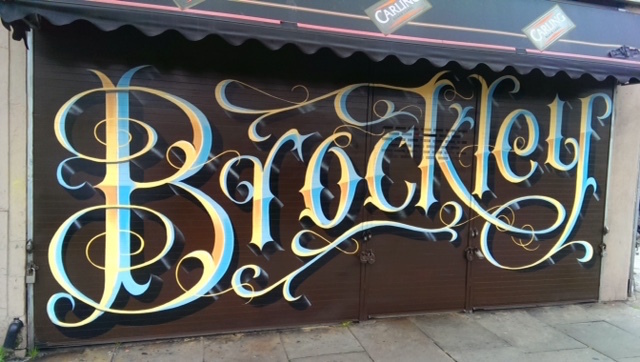 I’m not even sure I’d ever been to Brockley before, let alone thought of helping to organise murals there. A couple of months later Brockley won a public vote, getting some 900 votes out of 3,500 entries, which was far greater than we had expected. I remember thinking at the time: 'What do we do now?'. We organised a meeting in Brockley and invited anyone who was keen to be involved. Then came another surprise — 20 people came to the meeting, including all of the people who would become the Brockley Street Art Festival board. We put a team together including Moira, who has diligently run the local arts festival Brockley Max for the past 14 years; Ian, who nominated Brockley and became the de facto CEO; Phillipa, who led on marketing and PR; and Sarah, who led on fundraising. We were also later joined by Bahijja (STEAM:ED Collective), who received funds from the Royal Society of Chemistry and L&Q Foundation for two science-themed murals. Meeting every week, we decided that a simple plan would be: find walls; find artists; raise funds; and swing for the fences. The festival was ultimately funded by Lewisham Council and a council-run group for Brockley Ward residents, plus money raised through crowd-funding and donations from local businesses. The council and local residents have been overwhelmingly supportive. No-one ever gives a high five to the council but I’ll go out on a limb here and do that. 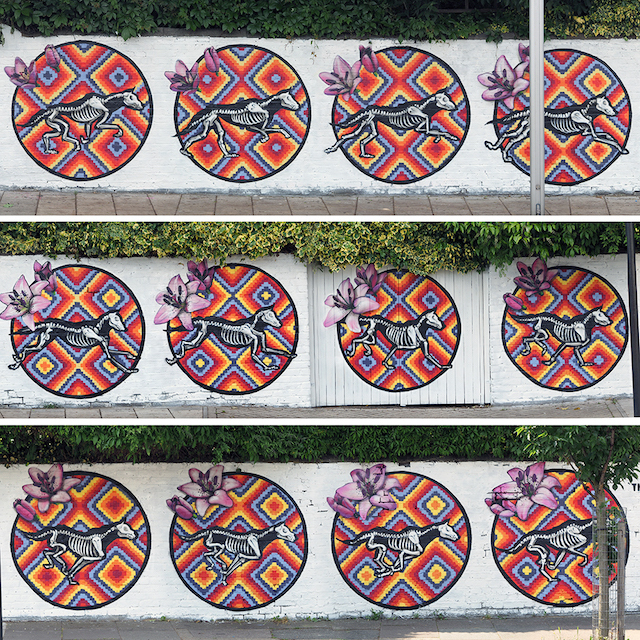 There are a lot of local and very talented artists in Brockley so the majority of murals were painted by local artists. Not because they were local, but because they were good artists and just happened to live locally. Ultimately, the reason the festival worked so well is the simple fact that the artists involved were awesome and the local support was immense. 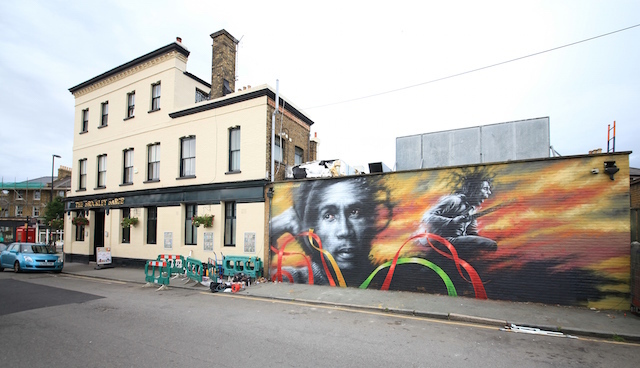 The headline mural for the festival was a Bob Marley mural painted by Dale Grimshaw, which replaced a Bob Marley mural that was knocked down a couple of years ago by the developer’s wrecking ball (a Bob Marley mural had existed in Brockley for 40 years before that), hence our crowdfunding campaign Bring Back Bob (the brain-child of the Brockley Max festival crew). Other murals were painted by Artmongers, Zara Gaze, Dan Kitchener, Mimi Soan, Known, INSA, Hunto, Claire Astruc, Rhiannon Hunter, My Dog Sighs, Cenz, Nuria, Louis Masai, Lionel Stanhope, Attai and Artista, with some more murals potentially yet to come. So… what next? Well, we’re not sure! I think some time off would be good but who has time for that any more? We’d love to come back to Brockley but perhaps we’ll look for another neighbourhood first, or maybe even a new city instead? We won’t stop until all of our cities are painted. Onward!